Flag of the Octoberist Organization, 1970s-80s. Flag of the Octoberist Organization, 1970s-80s. In red synthetic silk. 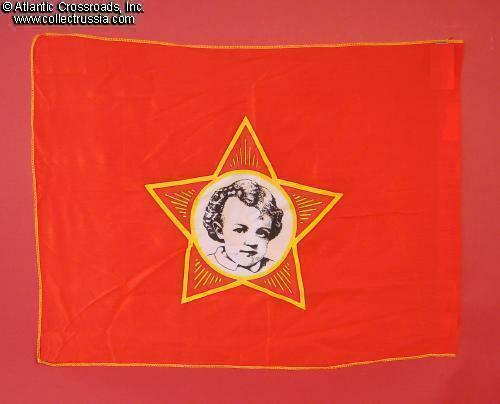 Octoberists was an organization for Communist indoctrination of children 7 to 9 years old. 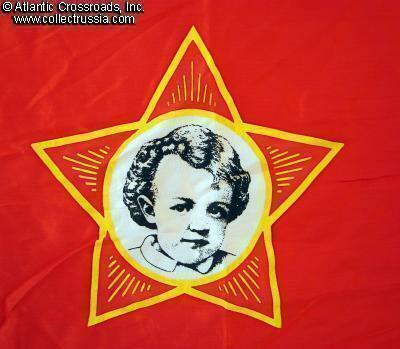 The flag shows its membership badge: red star with a portrait of Lenin as a cute puffy little boy (but we all now know what grew out of it). Size 2' by 1 1/2', convenient for little kids to carry around on a pole during goose stepping parades.